A full line of optics for transmission from the visible to 20 µm for OEMs of detectors, sensors, and systems that incorporate multiple wavelength devices is available from Meller Optics, Inc. of Providence, Rhode Island. Meller IR & Broadband Optics include sapphire for the visible through mid- and near IR out to 20 µm utilizing calcium fluoride, magnesium fluoride, germanium, silicon, zinc selenide, and zinc sulfide; available with or without anti-reflective coatings. Offered in sizes from 0.25” to 4” O.D. or diagonal, with ±0.005” tolerance and thickness to ±0.002”, they can be custom produced as windows, lenses, and mirrors in various configurations. Supplied in prototype through production quantities, Meller IR & Broadband Optics can incorporate finishes from 60-40 to 40-20 scratch-dig with flat-ness to 1/10th wave in the visible and < 2 arc sec. in./in. parallelism, depending upon material, size, and construction. Suitable for a variety of applications including front surface optics, detector windows, sensors, FLIR, and night vision systems, these optics conform to MIL-PRF-13830. 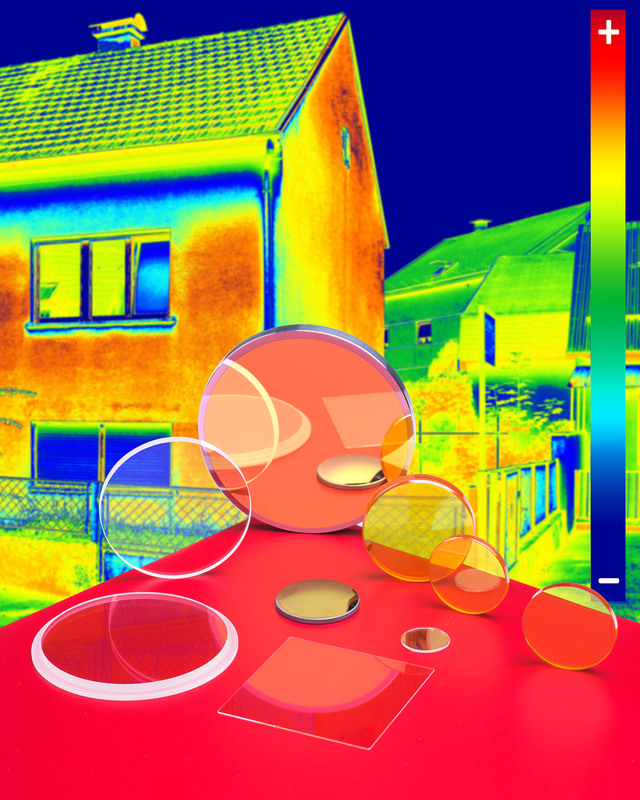 Meller IR & Broadband Optics are priced according to material, configura-tion, and quantity. Price quotations are available upon request.